Reed M&E can provide all your mechanical, electrical and fire needs. We are totally committed to achieving the best standards of work and by offering you, our customer, value for money by means of one complete solution from one installer. 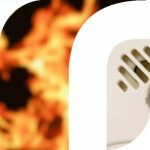 We have built a first class reputation in the mechanical electrical and fire alarms market and can provide a complete bespoke solution to any premises. All of our staff are committed to working to the standards set by our industry bodies ensuring our installations, after-sales care and customer service is carried out to an extremely high standard. We have accreditations with the following professional bodies.